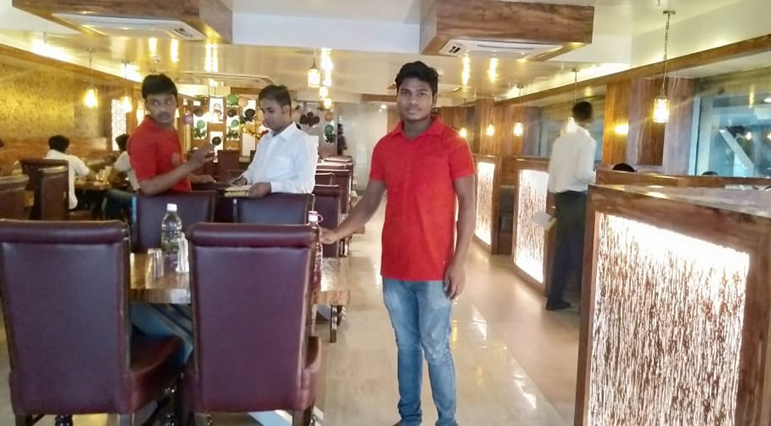 A 20-year old Chayan Sardar is the eldest son of his parents, who resides in Birgiri, Ragavpur village which is located in Purulia district of West Bengal. His family consists of five members including his parents and siblings. His father was the only earning member in his family. His income was not sufficient to complete the daily needs of their family. Their monetary condition was not good. He could not be able to continue his studies because of poor financial condition of the family. Chayan came to the centre to know about the program and its entitlements. The trainers described him the deliverables of the program. After counseling, Don Bosco Tech trainers enrolled him for Hospitality domain. During the training, Chayan showed tremendous changes in his behavior and activities. He started to think critically and creatively. He was a good learner, punctual and very passionate about the domain. He studied hard to finish the course and also qualified in the final assessment with good marks. After the training, Don Bosco Tech provided him placement. Now he is working with Shine and Standard Group and getting Rs 8000/- per month which includes meals or other benefits. Also he is helping his family financially. He is thankful to Don Bosco Tech who helped him building his career and made him confident or strong with knowledge in his domain.